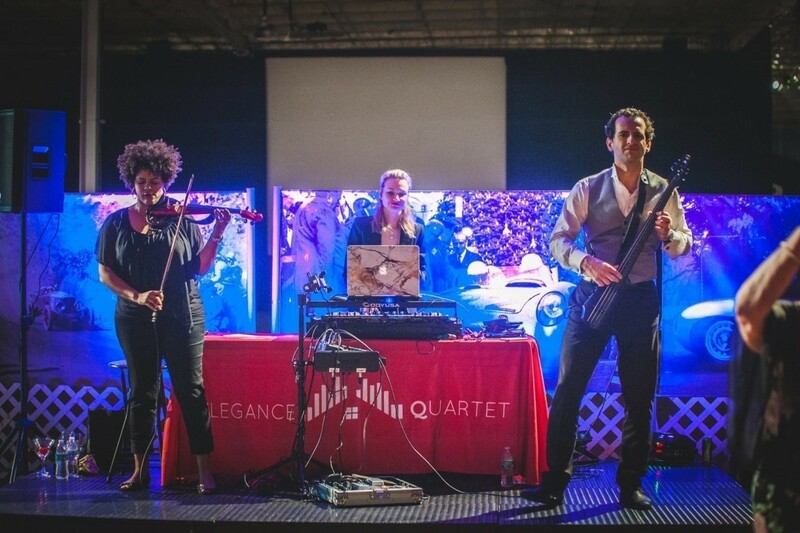 Elegance String Quartet is a classical crossover group that performs mashups of the classics with modern day pop and rock songs. 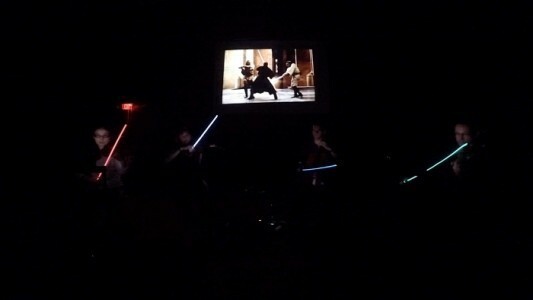 Our act includes electric instruments, rhythm and effects pedals, unique arrangements, and always a sense of humor. We are not here to sell a one-size-fits-all service. From the moment you touch base with our event manager you will know that our focus is on customizing the right fit for you. We listen, make suggestions, and introduce you to some of the latest trends in music entertainment. Our job is to give you all the tools and options that will bring your event to life. We believe in being as open and up-front as possible with everything from pricing to services to uploading several new recordings every year. Our Music Catalog is updated every year and made available t ... o all clients before booking. You do not have to guess our prices, as we provide a general guide to our different ensembles right on our website. We take great pride in our service. From timely return of calls and emails, to arriving early on site, to adjusting and being flexible to all the surprises of the day, and finally even to the tidiness of our performance area. We are professionals that provide an exceptional service, and that's our guarantee. Pretty much anything and everything. Special requests are always welcome. 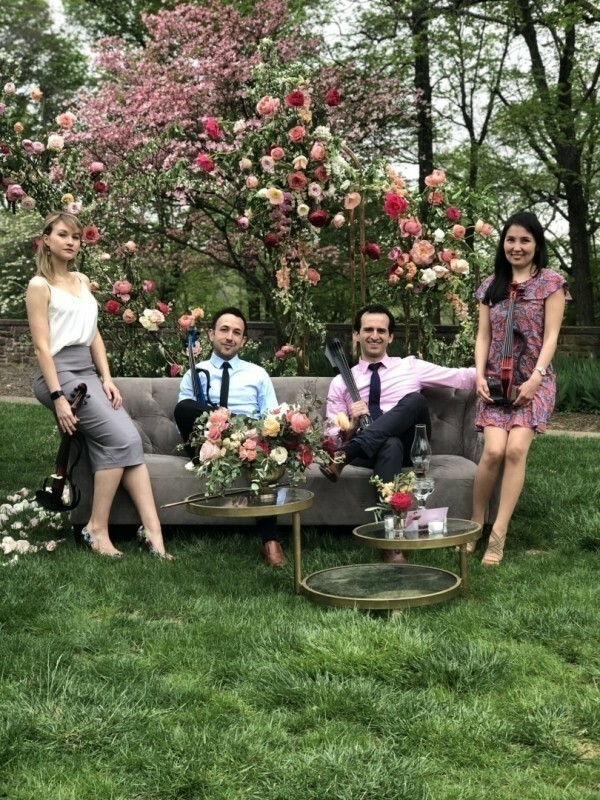 Elegance String Quartet is a classical crossover band from Philadelphia, PA. 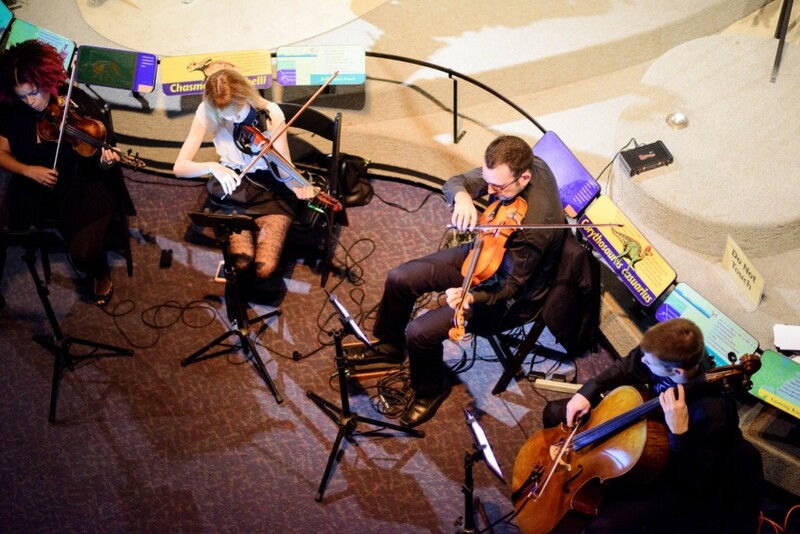 Originally formed in 2010 by Rajli (Ray) Bicolli, the group has become one of the most sought-after quartets for live events and concerts throughout the region. Their signature sound is created by using a mix of electric and acoustic instruments, as well as through the use of rhythm and effects pedals that are controlled live on set. Elegance stays true to form with their instrumentation of 2 violins, viola, cello, does not use backing tracks or pre-recorded music, and composes their own original arrangements and m ... ashups of pop, rock, and the classics. The core quartet features Aisha Dossumova and Alfiya Latypova on violins, Set Rodriguez on viola, and Ray Bicolli on cello. I booked the Elegance Quartet for my evening wedding at the Merion Tribute House Jan 28th, 2017. This group is incredibly talented and they were the PERFECT edition to our ceremony and cocktail hour. Their music director Ray created a beautiful selection of music for us, taking into account all of my special requests. Our guests all commented how lovely the music was and what a great addition they were to our celebration. 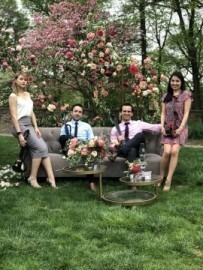 I was thrilled with their performance and would recommend them to anyone looking to add true elegance and style to their event. 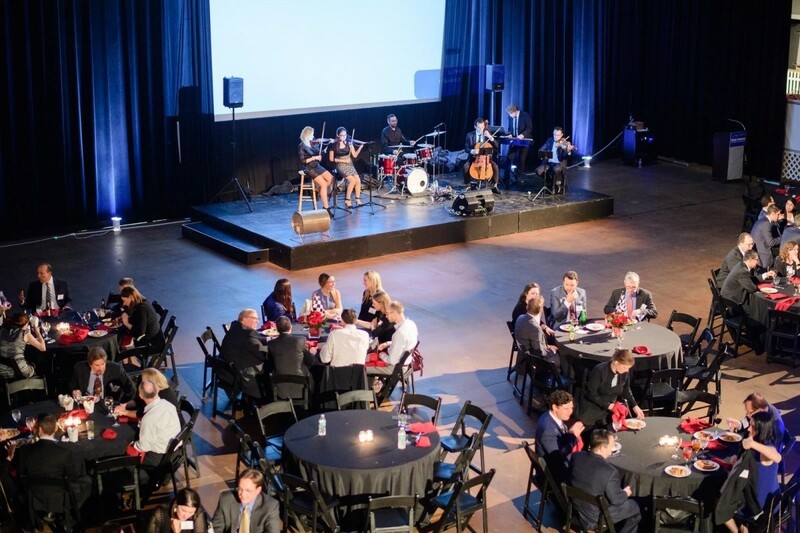 Elegance Quartet played at the ACC Greater Philadelphia Chapter 2015 Gala last night. I helped organize the event. Ray was great to work with in coordinating the music for the event. He was responsive and asked all the right questions to develop a play list that would fit the event. The Quartet did a fabulous job and we received numerous compliments on the music from the attendees. Each of our members is a professional musician with years of training under their belt. We do music full time, not just as a part-time gig on the weekends. Our practice sessions are designed to enhance the performance of live events, and we dedicate a lot of time and effort into making sure we present a professional show. Our professional lives have taken us from small living room audiences to sold out performances in the world biggest stages. These experiences become part of our tool-belt for the next show. We're always learning something new and always eager to try new ideas. 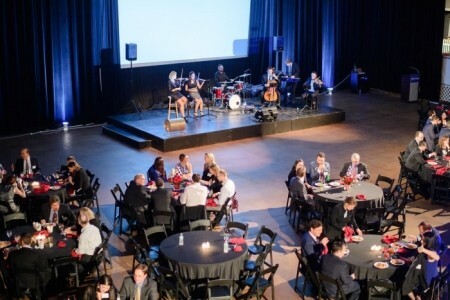 We have worked with some of the biggest names in the music industry, such as Idina Menzel, Josh Groban, TSO, Branford Marsalis, Kygo, The Roots, and many others. 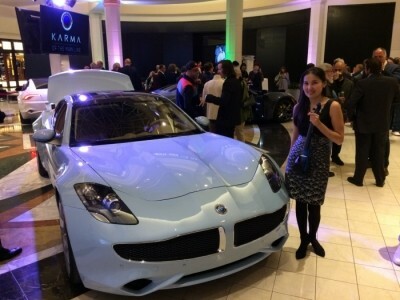 Some of our corporate clients for product launches include Porsche, Maserati, and Macy's. Wedding Ceremonies Wedding Reception Entertainment Birthday Party Entertainment Private Parties Corporate Events Cocktail Receptions Christening Entertainment Product Launches Trade Shows Christmas Party Events Bar Mitzvah Bat Mitzvah Gala Dinners Jewish Weddings After Dinner Entertainment. Fully insured and ready to perform at any venue. 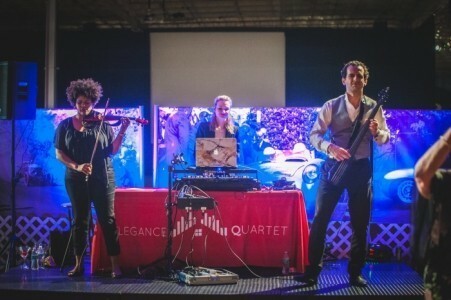 Have a Question about Booking Elegance String Quartet? View Q&As With Elegance String Quartet here!